BM Engineering Supplies is one of the leading UK suppliers of industrial valves, actuated packages and instrumentation to the process industries. We have over 40 years’ industry experience, which enables us to understand not only what the customer wants, but also what suppliers require from a distribution company. Read on to find out more about our services, products and the answer to the question ‘can I find engineering supplies near me?’. Leading UK supplier of valves & actuated packages to the process industries. We also supply an extensive selection of instrumentation, steam equipment and pipeline equipment. Due to our broad range of premium products, and extensive industry knowledge, BM Engineering has worked extensively across the process industries. Not only are our technical team trained in all areas of our product offering, but they boast years of industry and application experience. Our philosophy is to collaborate with our customers to ensure we deliver the correct solution to meet their applications needs. No matter how big or small the project, BM Engineering Supplies can supply the product solution – delivered to an extremely high standard, each and every time. Speak to BM Engineering Supplies today about our complete range of industrial valves and engineering supplies for the process industries by calling 0141 762 0657 or email sales@bmengineering.co.uk. The European division of American nail varnish producer, Kirker, contacted BM Engineering requesting if we could provide their factory, located in Ross-shire, with a selection of stainless steel ball valves. Below, we discuss the request from the customer and how we catered to their individual needs. BM Engineering has been one of the leading suppliers of valves in the UK since 1999. In this time, we have built many different relationships and partnerships with a large number of the industry’s leading names including Valsteam ADCA, Inoxpa and more. We supply to a different variety of sectors within our industry, because of this we have a fantastic portfolio of partners that we work with. Bürkert is one of the world's leading manufacturers of measurement and control systems for liquids and gases. 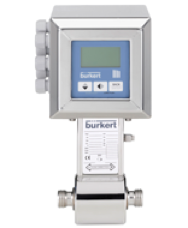 They have a vast portfolio of flow meters and here at BM Engineering Supplies, we are proud to be official Bürkert distributors. We supply a wide range of paddle, mag-flow, positive displacement and mass flow meters from Bürkert. In this article, we will be discussing a selection of some of the Bürkert flow meters that we can supply.